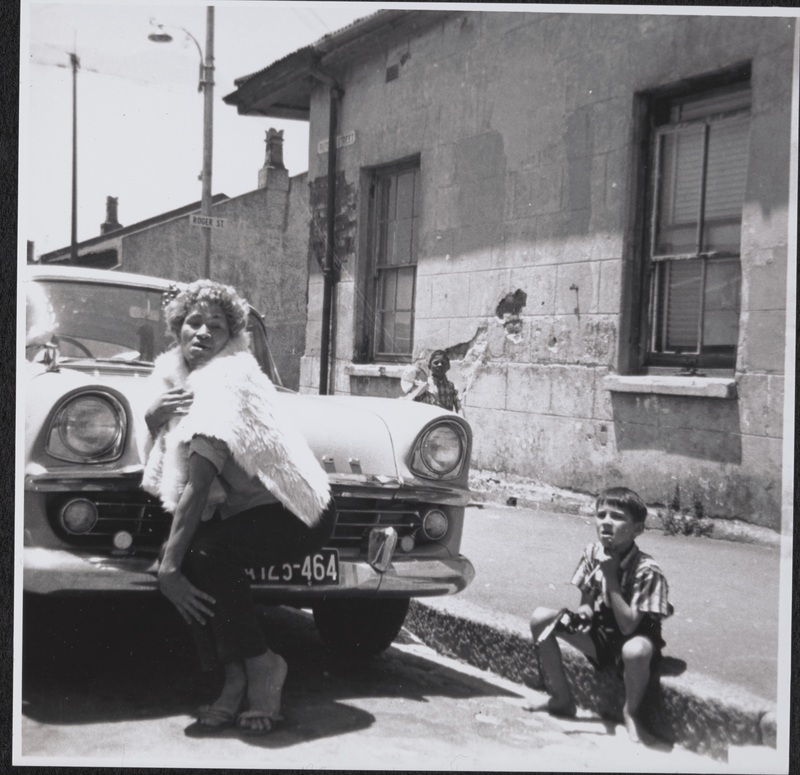 This paper will introduce the Kewpie collection, 600 photographs depicting the lives of the transgender and gay community in Cape Town’s District Six between 1950 and the 1970s, who were known amongst themselves and by the wider community as ‘moffies’. The collection is held at GALA, the Gay and Lesbian Memory in Action Archive in Johannesburg. The photographs are the personal collection of Eugene Fritz, a celebrated dancer, drag queen and hairdresser whose preferred name was Kewpie. The urban locality of District Six provided an environment of tolerance – with some restrictions – where ‘moffies’ were a visible and integrated part of the community. The photographs show Kewpie and friends socialising, performing and working, at home, in their neighbourhood, and on excursions; and reveal an extensive social circle that was not limited to gay men. Samantha ‘with a floor mat over her as a cape’ in Rutgers Street. Neighbour’s child, Yusuf (Aysa’s son), is watching. Source: Kewpie collection, GALA archive. District Six is an area that has been celebrated historically for its cosmopolitan urban culture and strong sense of community, and the photographs show a much-loved minority living full and successful lives amongst other residents before people were forcibly removed and homes demolished as a result of the apartheid government’s Group Areas Act. Although the ‘moffies’ were visible within District Six at the time, coverage of them in the national press tended to sensationalise their lives for the titillation of readers. The photographs give an insight into the lives of Kewpie and friends beyond their roles as performers, providing a record of a positive and tolerant era in a community that was scattered following the demolition of District Six. Jenny Marsden has an MA in Archives and Records Management from University College London, UK. 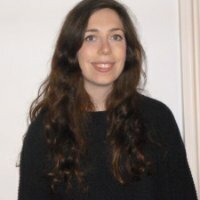 She is currently working as a project archivist on the Kewpie collection at Gay and Lesbian Memory in Action, Johannesburg, and her previous experience includes working as an oral history cataloguer on the Hall-Carpenter collection at the British Library.